Huawei has announced the successful opening of the 2nd Annual Ultra-Broadband Forum (UBBF) it hosted, which this year was held in Madrid, Spain. This year's UBBF is themed UBB 2020: Towards a Gigaband World. In total, more than 300 people attended the event, including representatives from leading operators, regulatory authorities, video content providers, Smart Home initiatives, industry analysts, and media outlets. 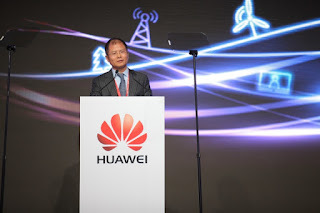 In 2014, Huawei and the Broadband Commission, which was jointly established by the International Telecommunication Union and UNESCO, partnered with regional operators to host the UBBF. The forum aims to promote the sustainable development of the UBB industry. The UBBF is a platform for C-suite executives to focus on UBB, share experiences, initiate cross-industry cooperation, and promote joint development. In turn, this will help operators, consumers, and content providers benefit from UBB development. Within a year of the first UBBF in London, Huawei hosted regional summits for UBB industry development in the South Pacific, Middle East, Central Asia, Latin America, and Southeast Asia. Zhao Houlin, Co-Vice Chair of the Broadband Commission, and Telefonica CTO Enrique Blanco both addressed the UBB opening ceremony. "The UBB industry has entered its best time," said Zhao. "4K video and cloud service will boost user demand for ultra-broadband, which will accelerate the economic development of many countries." Huawei rotating CEO Xu Zhijun said, "4k video and cloud service will be the main drivers for the development of UBB. 4k TV sets and 4k set top boxes are increasingly popular, and more 4k content becomes available. Growing end-user demand is making the 4k and on-demand video experience a basic requirement. Providing a differentiated video experience will become an important opportunity for operators to fully leverage their advantages in network infrastructure. On the other hand, enterprises are changing from purchasing IT equipment to purchasing cloud services, which also creates new requirements for the network infrastructure. So in order to meet customer demand for 4k video and cloud service, operators first need to build a network with high bandwidth and low latency. Operators need to focus on '4k+On-demand' video and cloud service in their network planning, architecture, construction and operations to meet their customers' basic demands when offering these appealing applications." Among the speakers who shared their views on the Gigaband future at the Forum were Brad Templeton, a professor at Singularity University, who analyzed the exponentially growing demand for network bandwidth brought by future-oriented technical innovations, such as virtual reality and artificial intelligence, and British Telecom's CIO Howard Watson, who spoke on the experience of BT Sports. Ding Yun, President of Huawei Products & Solutions, spoke on Entering the Gigaband Era, which defined Huawei's first ultra-broadband strategy. Ding also explained Huawei's strategy in terms of bandwidth, coverage, and experience. According to Ding, the Gigaband strategy improves access speed, enhances network coverage and offers a superior subscriber experience. Integrated business transformation and basic network reconstruction are Huawei's core propositions in terms of business and networks in the Gigaband era. Highlights of the Forum sessions included leading operators sharing their experience with participants, and Forum participants reaching a consensus on a range of issues such as: improving the user experience, defining video experience standards, and optimizing ultra-broadband networks to meet users' ROADS requirements. 0 comments on "Huawei Hosts the 2nd Ultra-Broadband Forum Towards a Gigaband World"